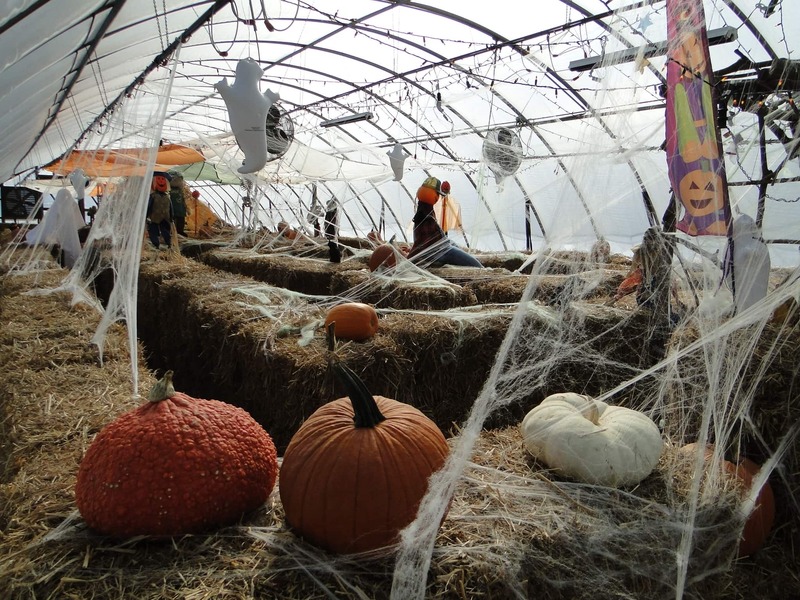 The indoor pumpkin and hay bale maze inside Linda’s Plants greenhouses in Hendersonville, North Carolina is brilliant. Why? Because it gives little ones a chance to have fun under the watchful eyes of parents. 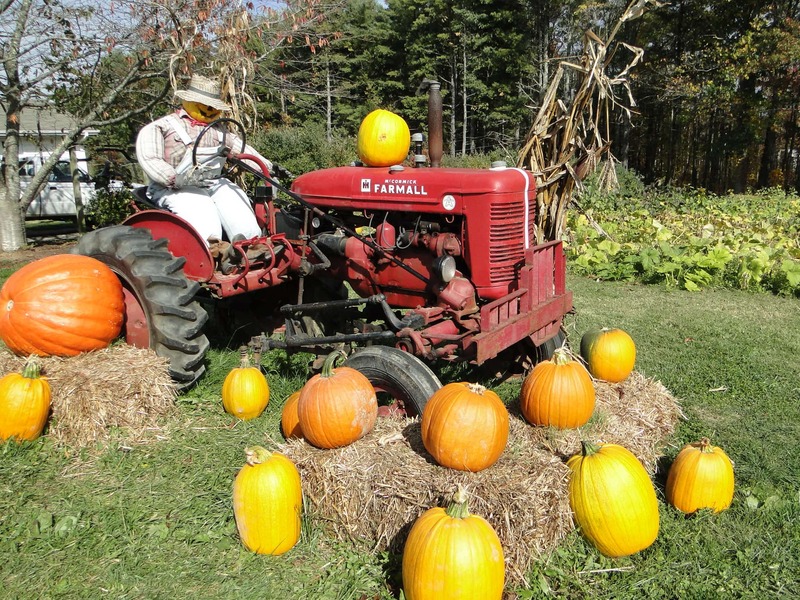 It’s also a great fall activity to enjoy even when the weather turns cold or rainy. 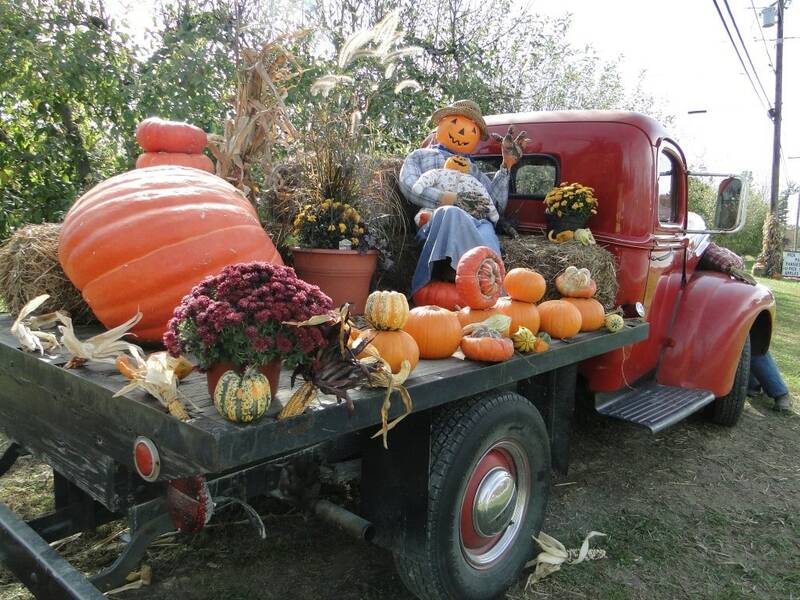 Even better are the fabulous fall photo ops available at this nursery located just 4 miles from I-26 in Hendersonville. Linda’s Plants is always brimming with fabulous color and foliage from Spring to Fall. However, I was truly surprised and delighted on our late October visit to find so many fun things to enjoy during a visit to the nursery. Perhaps the star of the show is the indoor pumpkin and hay bale maze. 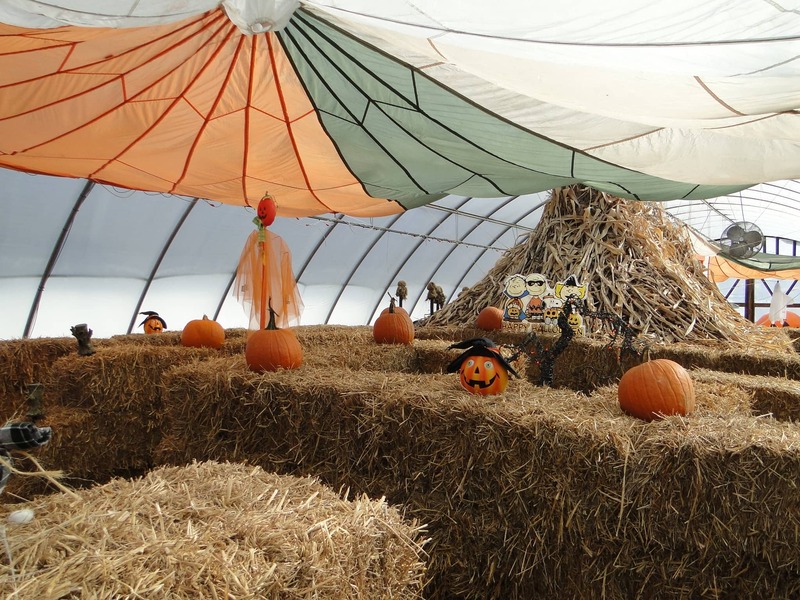 Created in one of Linda’s covered greenhouse tents, the kid-friendly maze took an entire 18-wheeler of hay bales to create. The bales are stacked up about 3-4 feet high, making it fun for kids but pretty easy for adults. It is easy to keep an eye on the kiddos, though, from the walkway on either side, so you can let them play and figure it out on their own without getting too lost. 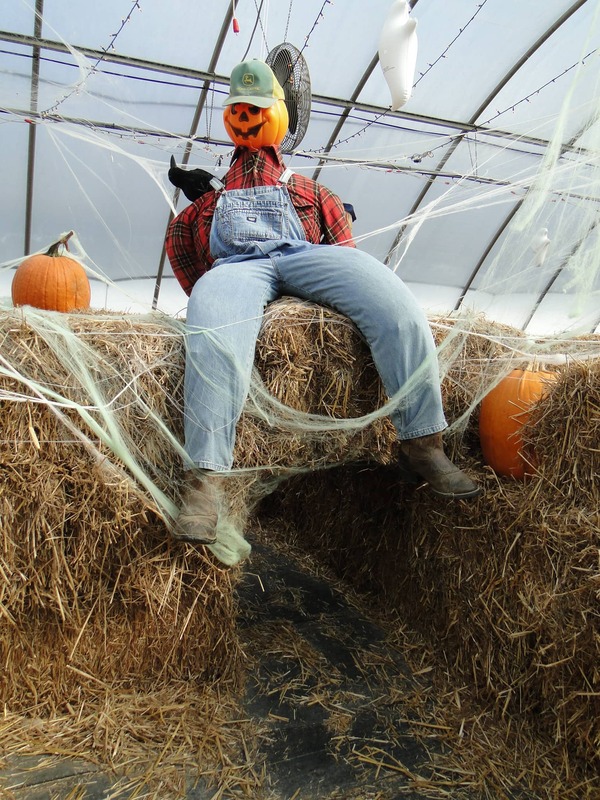 The hay bales are decorated with Halloween decorations galore, with plenty of cute photo ops inside. At the end, a Peanuts Halloween sign greets you when you’ve managed to make your way through the maze. The cost of the maze is $3. 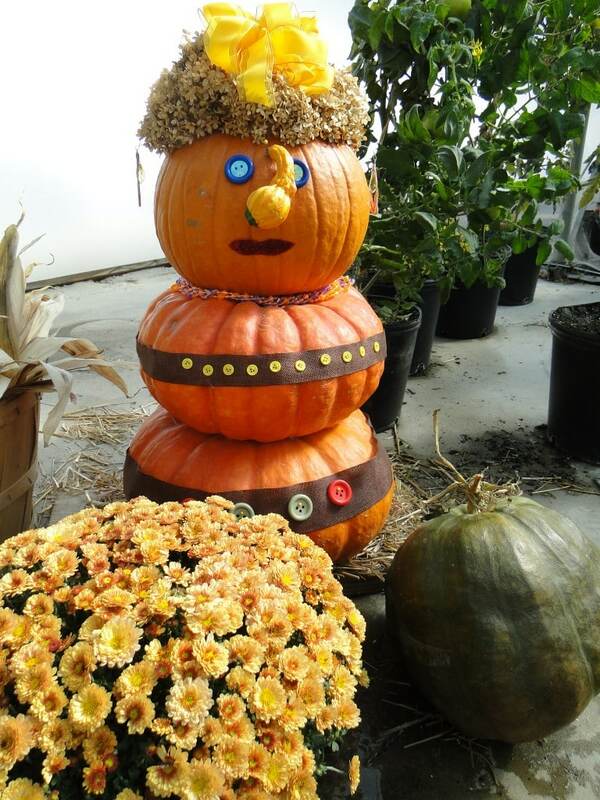 Special Halloween Hours at Linda’s Plants let’s you bring the kids at night to enjoy the indoor fun. No need to worry about the dark! 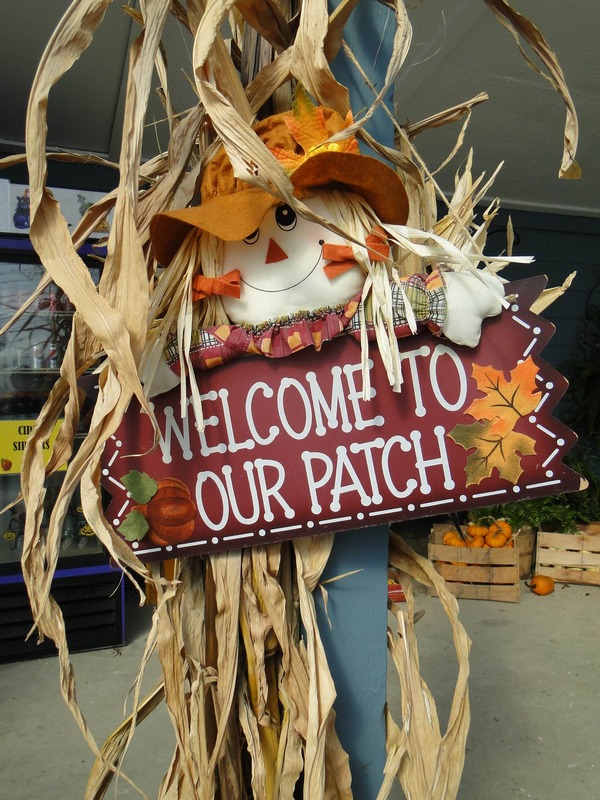 Fridays and Saturdays in late October offer extended hours: 8:30 a.m. – 8:30 p.m. On Halloween night, the pumpkin maze is open until 9 p.m. for Trick or Treating, creating a safe and not-so-scary Halloween activity. 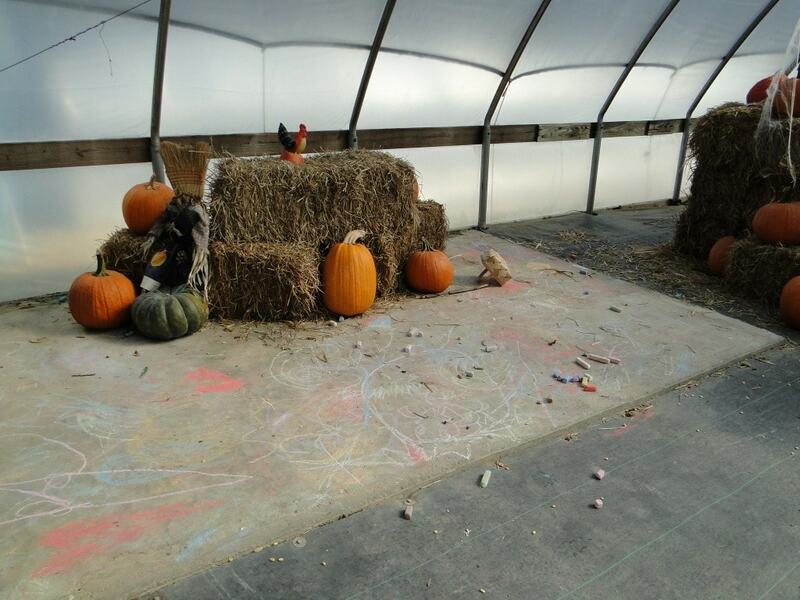 Outside of the maze, a large concrete slab has been set aside as a coloring station, with large outdoor chalk available. 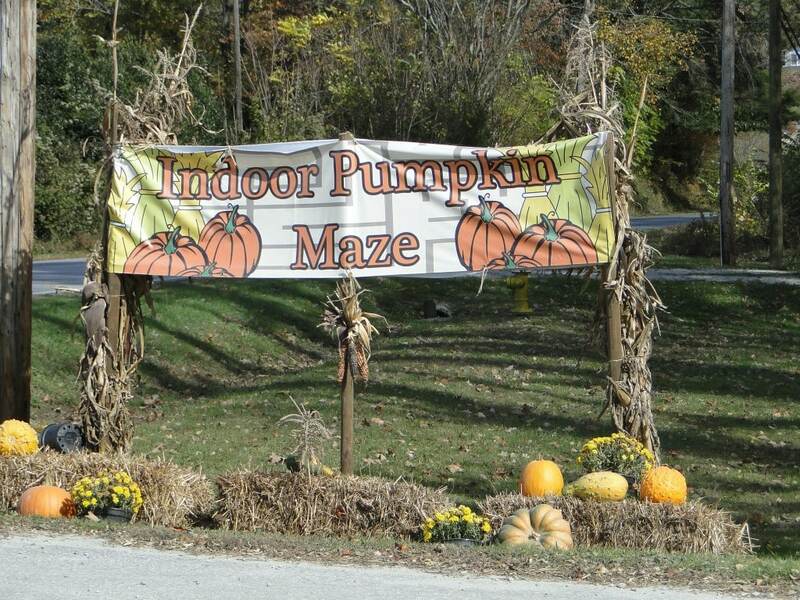 The indoor pumpkin and hay bale maze are just part of the fall fun and festivities, though. 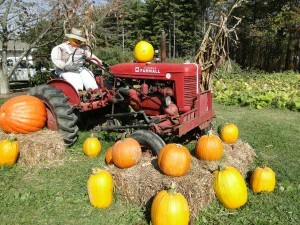 Linda’s Plants has awesome photo opportunities with pumpkin people throughout the property. 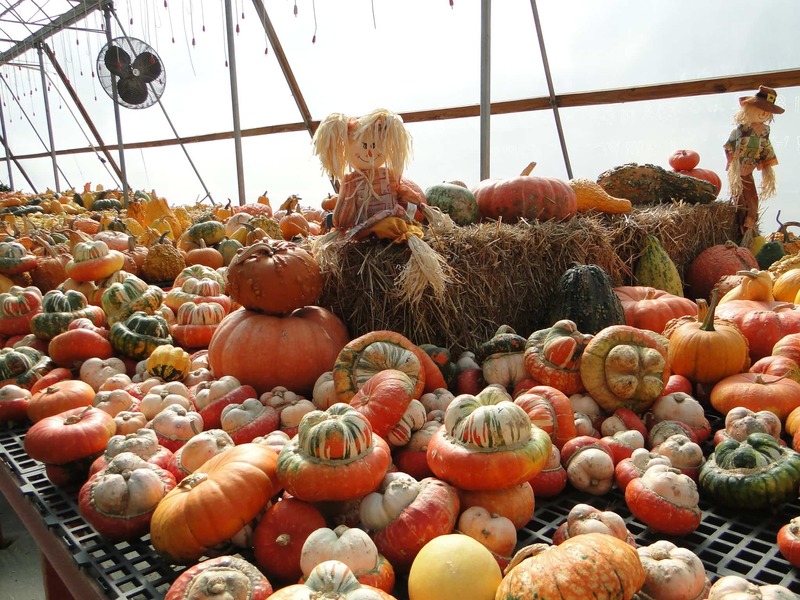 Rows and rows of gourds and pumpkins of all shapes, colors and sizes are also found throughout the covered greenhouses. While you’re there, you can stock up on apples, cider, sippers and other apple products from Bad Apple Farms. 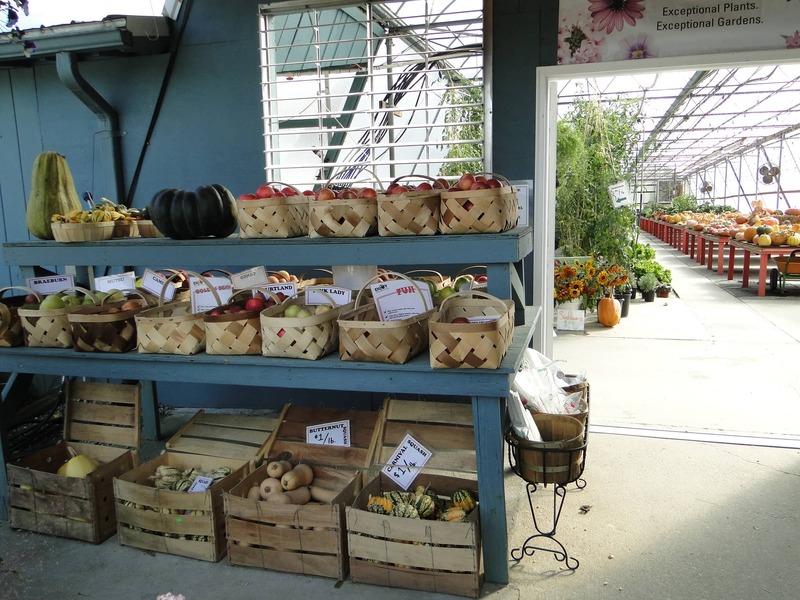 Why not pick your own produce, too? 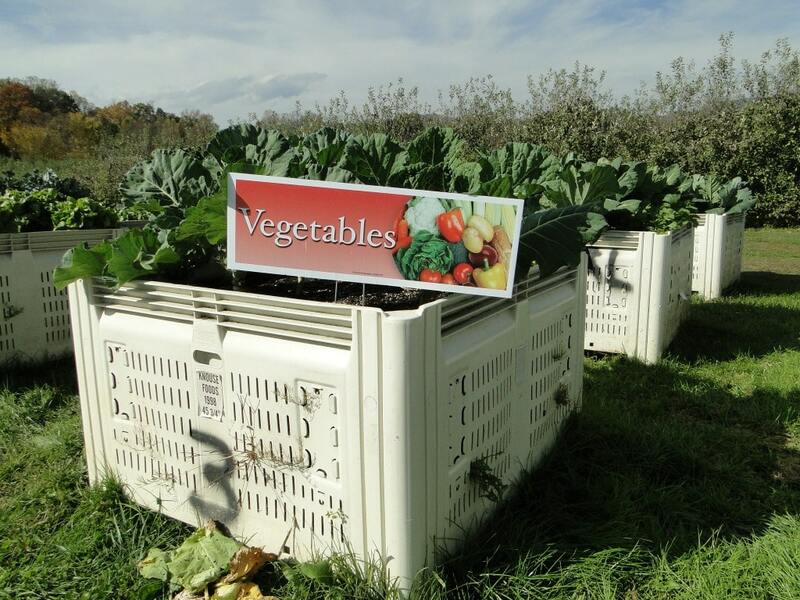 Linda’s Plants has raised beds of produce grown in old plastic apple crates that are filled with composting dead annuals harvested from their spring and summer bounties. We scored a great big bunch of kale for just $2. 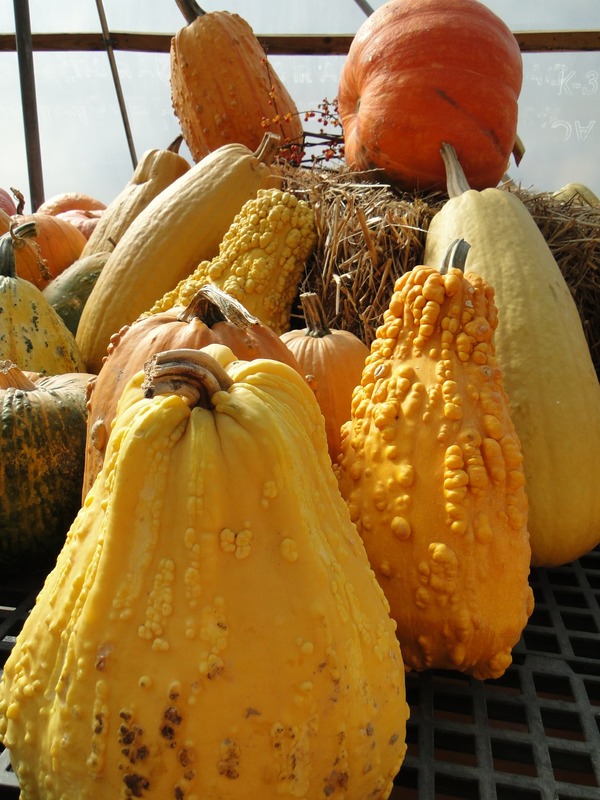 While not entirely organic, it was raised with very little pesticides. Indoors, tomatoes can be picked off of the huge vines growing towards the sky. The pick-your-own pumpkin patch would have been a great activity, too, if we had visited earlier in the month 😉 Oh, well. There’s next year, right?!? 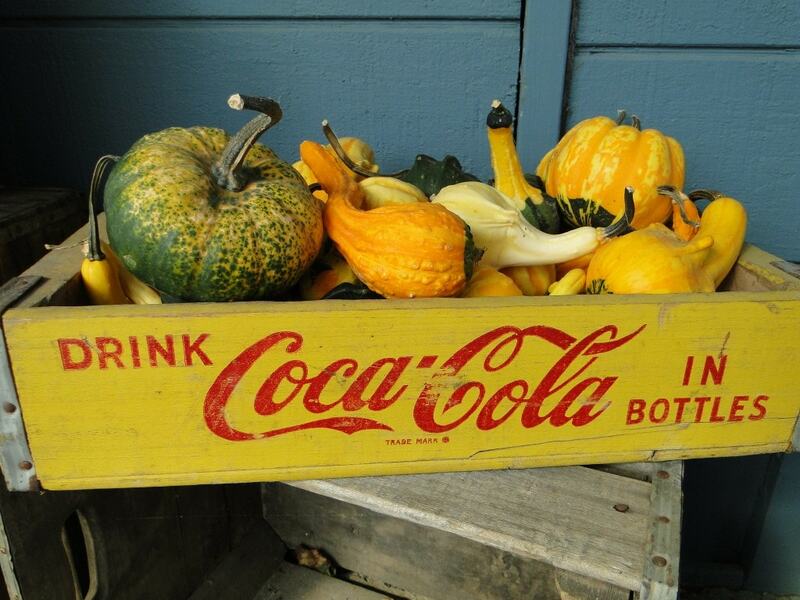 Linda’s Plants is located at 256 Stepp Acres Lane, Hendersonville, NC 28792. The phone number is 828-685-0738. 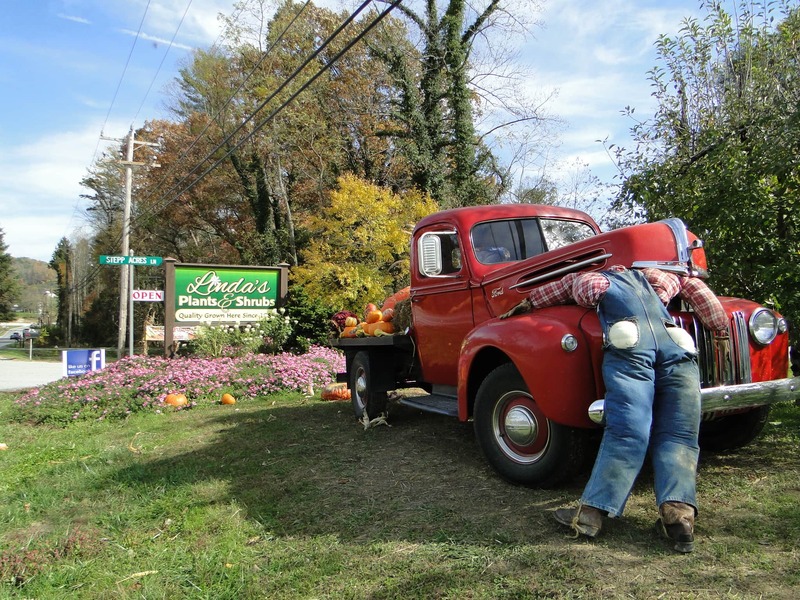 Have you been to Linda’s Plants in Hendersonville? What did you think? We agree! Hope more locals find out about this hidden gem, though, since we had no idea! Glad you liked it, too!